Genesis on The Park at Brampton offers modern-designed boutique condominiums within a green community. Amenities like shops, restaurants, schools and transits are just minutes’ walk from Genesis on The Park. Spacious and well-ventilated suites with all facilities to make your everyday living an exquisite one, this development overlooks acres of manicured parkland. Genesis club is designed as per your social needs, from a stylish lounge to a dining room and a catering kitchen- it’s the place for your social gathering and formal dinners. This vibrant living option at Brampton includes everything you need for a next level lifestyle. Praxis Development Corporation is a real estate development company focused on creating urban communities. They have built, designed and manage the development of thousands of residential and commercial units in Canada. A unique combination of skills and dedicated to building better, Praxis has continuously provided quality development in the last 50 years. Square Yards Real Estate INC is part of Square Yards, a technology-enabled O2O transaction and aggregator platform for global real estate. It offers a comprehensive, integrated menu of global property & asset portfolio by using technology, data, research and diversified presence to make global real estate investments decision making more research led and driven by risk/reward perspective. 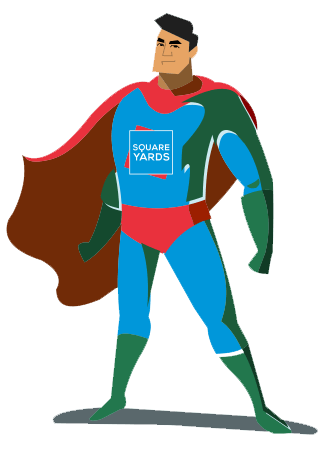 Square Yards has achieved a significant scale in facilitating real estate investments worth more than USD $1 Billion to 12500+ satisfied customers worldwide through its direct presence of more than 2000 employees in 40 cities in 8 countries including Australia, Canada, Hong Kong, India, Oman, Qatar, Singapore and the UAE. Exclusive Listing: Square Yards Real Estate INC. Brokerage. Brokers protected. Illustrations are artist’s concept. Specifications are subject to change without notice. All brand names, logos, images, text, and graphics are the copyright of the owners Cresford Developments. *Conditions apply. Limited time offer. Reproduction in any form, without prior written permission of Cresford Developments, is strictly prohibited. E. & O. E.